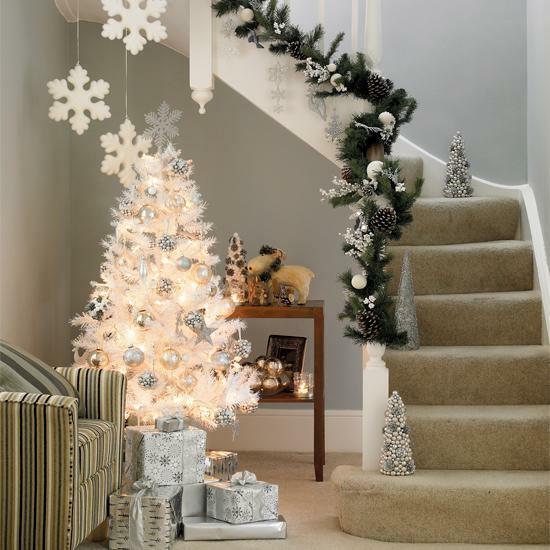 Black and white Christmas tree decorating ideas look spectacular. 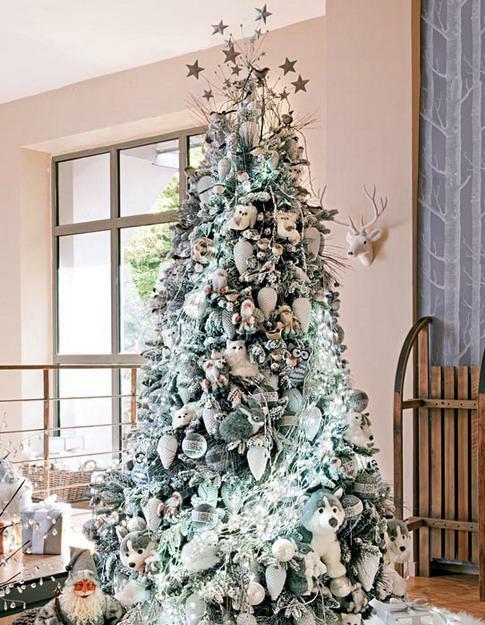 There are many different ways to decorate a black or white Christmas tree, and turn a live green tree into a white decoration with artificial snow. Christmas tree decorating is very personal. You can use modern Christmas colors or stay with your favorite color combination. 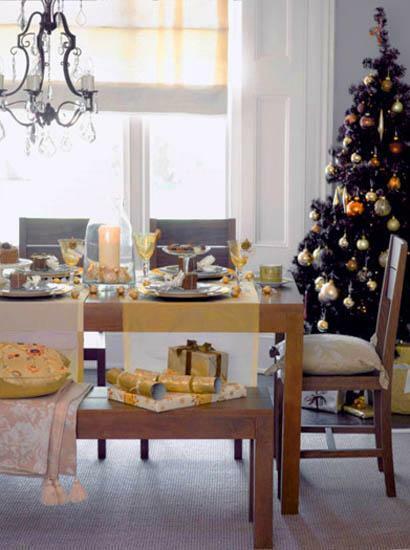 There is no wrong way to decorate your home for Christmas, but fresh and innovative decorating ideas are inspiring. 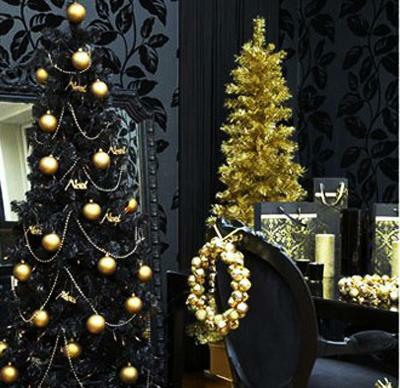 Black Christmas trees are unusual and mysterious. They look gorgeous with white, silver and golden Christmas decorations and can be accentuated with any your favorite color. 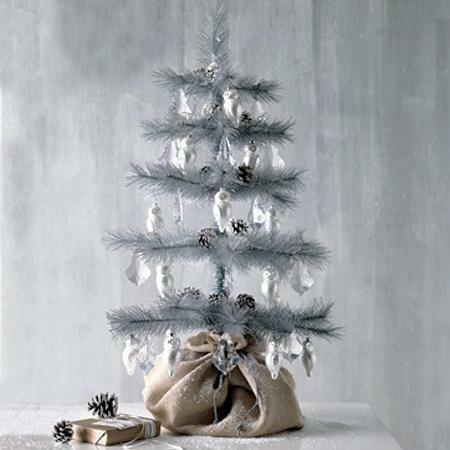 White Christmas tree look natural and beautiful, enhancing the spirit of the winter holiday. 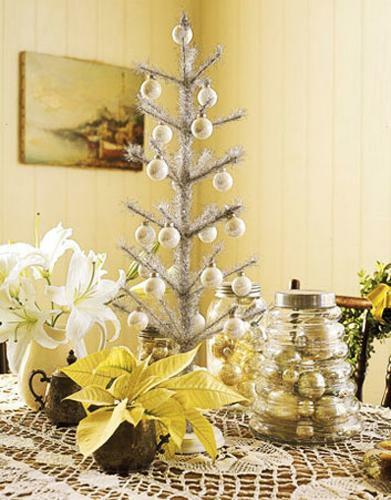 Adding miniature lights turns any Christmas tree decorating into fabulous, festive and bright. 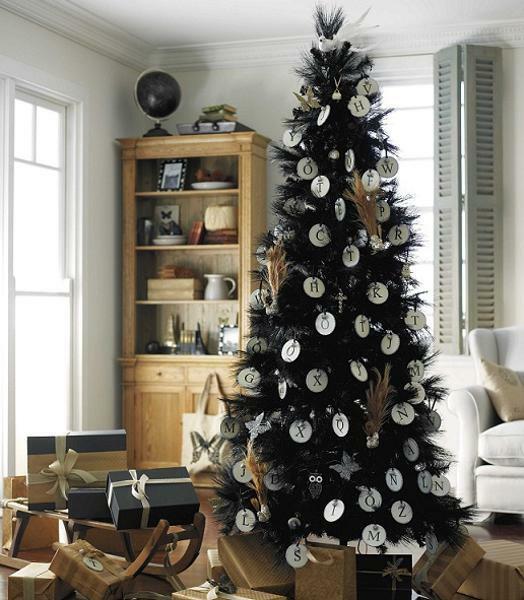 Black Christmas trees and white decorating ideas are versatile and work with all color hues. 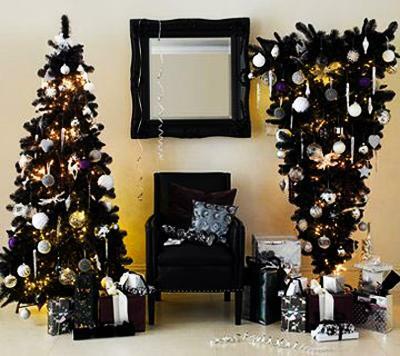 Black Christmas trees are wonderful ideas for Gothic Christmas decor. 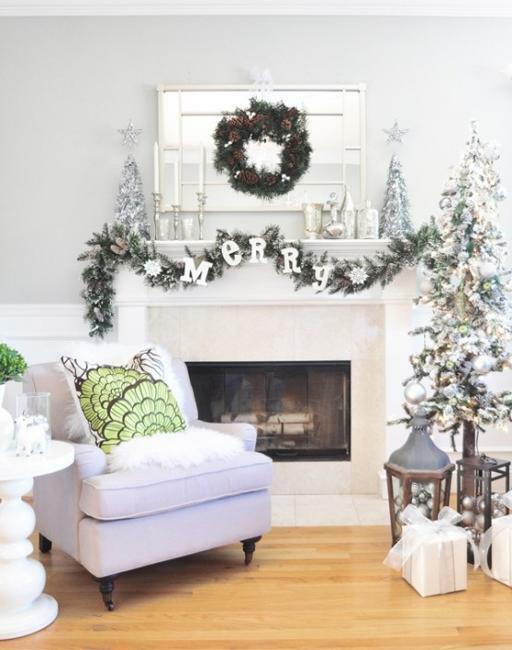 White decorating ideas create naturally looking holiday decor. There are many various Christmas themes and styles to choose from. With Christmas lights your holiday decor will appear striking, fancy and warm. Black Christmas trees look dramatic with LED lights. 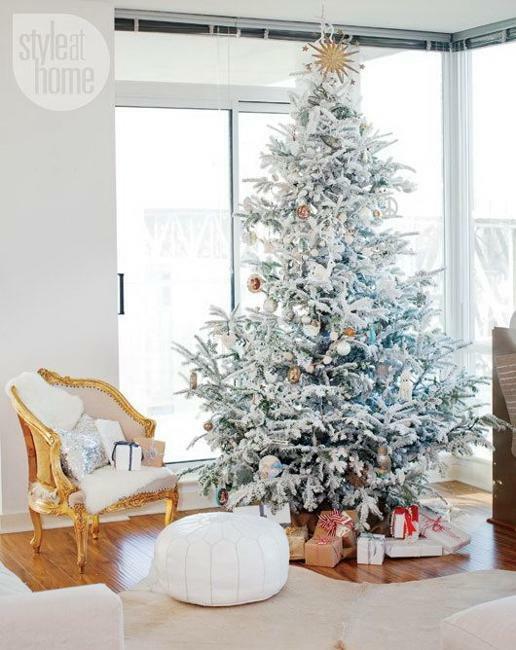 You can add white Christmas tree decorations, silver and golden accents to blend chic and style into your winter holiday decor. Black Christmas trees bring strong contrasts into homes and create amazing centerpieces for your living room or dining room decorating. 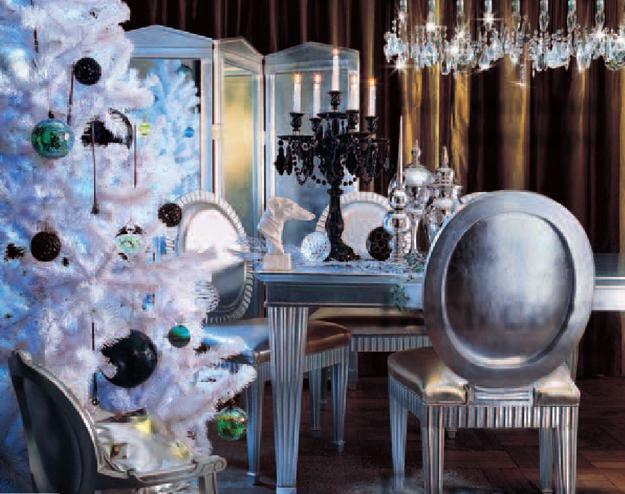 Black Christmas tree decorating can be accentuated with light blue and passionate red colors. Black Christmas tree decorating with ornaments in pink and purple colors adds romantic and mysterious flavors to Christmas decor. 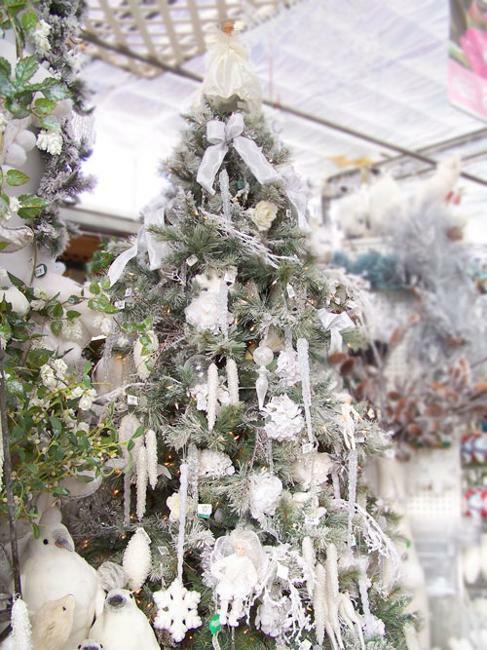 Artificial white Christmas trees and traditional green Christmas trees, decorated in white color are popular Christmas trends. 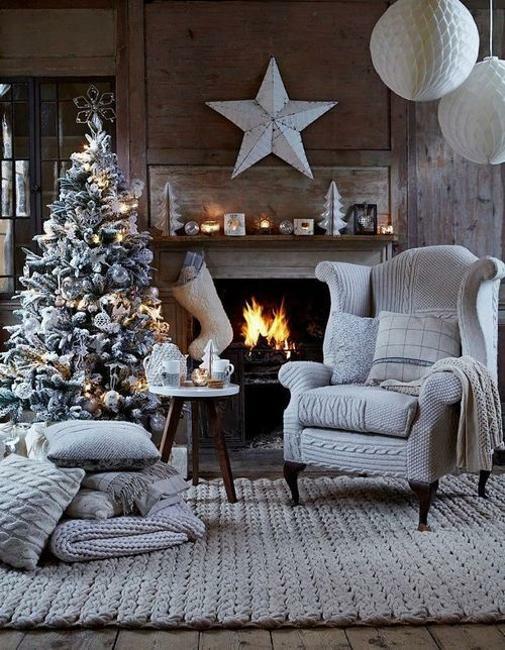 Creating holiday decorating schemes with white color is simple. Just add another color, one or two your favorite Christmas colors. 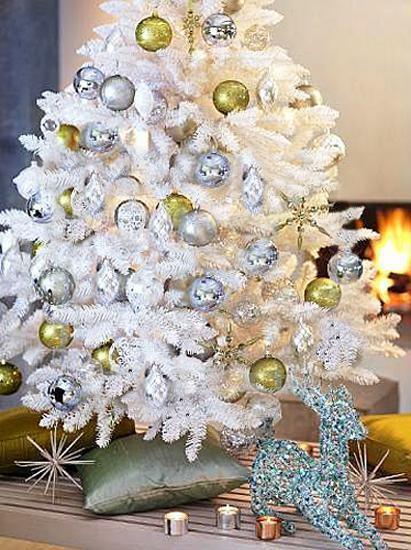 White decorating ideas will make your Christmas tree look bright and elegant. 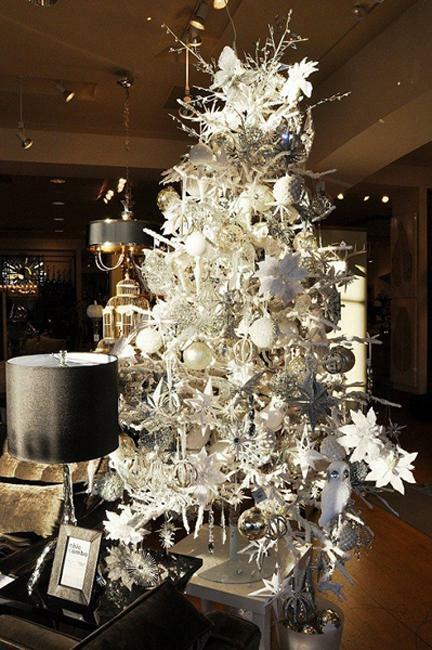 White Christmas trees look symbolic and very attractive. Decorated with red and green ornaments, they create beautiful holiday decorations, blending traditional Christmas theme with natural motifs. Colorful ornaments look fantastic on a white Christmas tree. Led lights increase the effect of a stunning centerpiece for your Christmas decorating. Christmas tree decorations in red, blue, green, pink and purple colors, silver and golden ornaments or multicolored decorations are great for black Christmas trees and well suitable for white Christmas tree decorating. 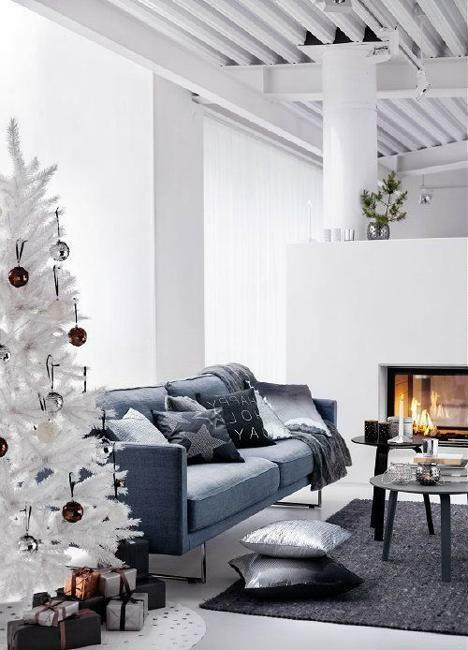 Black and white are neutral colors that balance and harmonize each other, while allowing you to go with any your favorite Christmas colors to personalize your winter holiday decor and create a unique focal point. 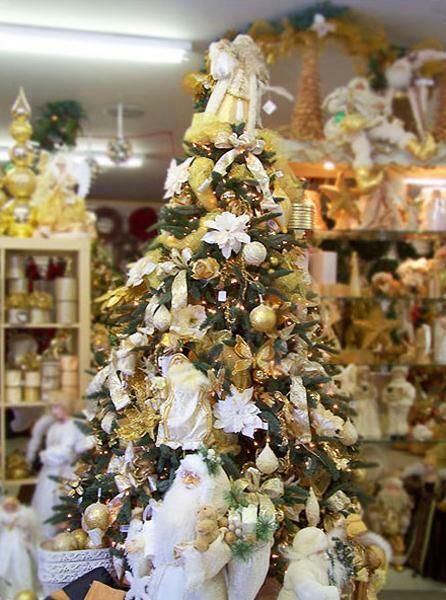 White Christmas tree decorating looks warm and welcoming with yellowish lights. Blue and purple lights creates a cool effect which can be balanced with Christmas tree decorations in warm colors. 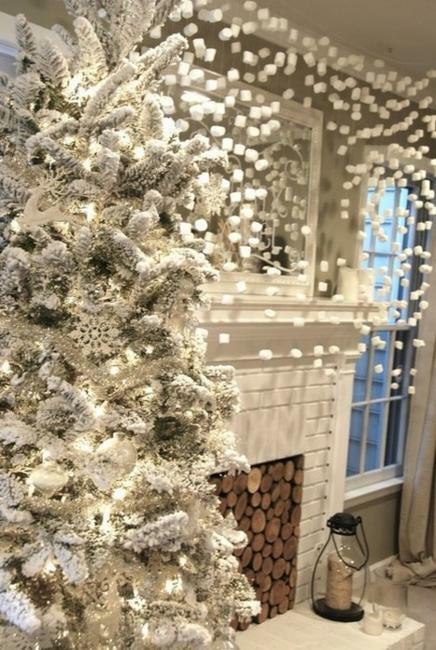 White Christmas trees are great for experimenting and creating original, innovative and surprising Christmas decorating ideas, turning traditional decorations into spectacular and impressive masterpieces. 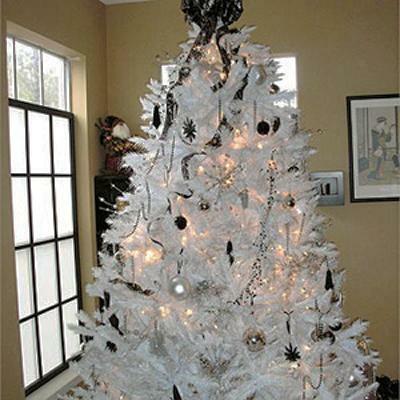 Black and white Christmas trees look beautiful with any color and matching color combinations. 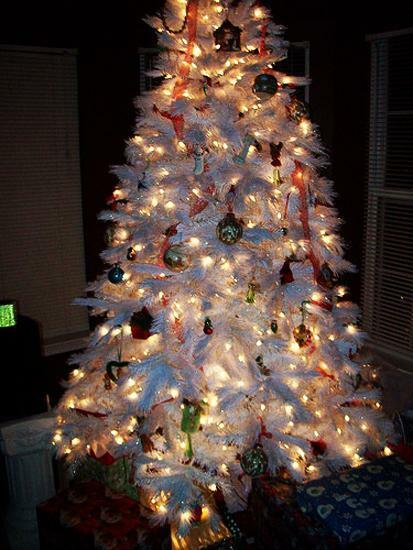 One bright color will give an elegant and sophisticated look to your Christmas tree decorating. Two or more matching colors, combined with black or white decorating ideas, will add a bright, joyful and festive feel to your winter holiday decor.